We are hosting a private catered dinner for fashion lovers and friends from in and around Philadelphia. 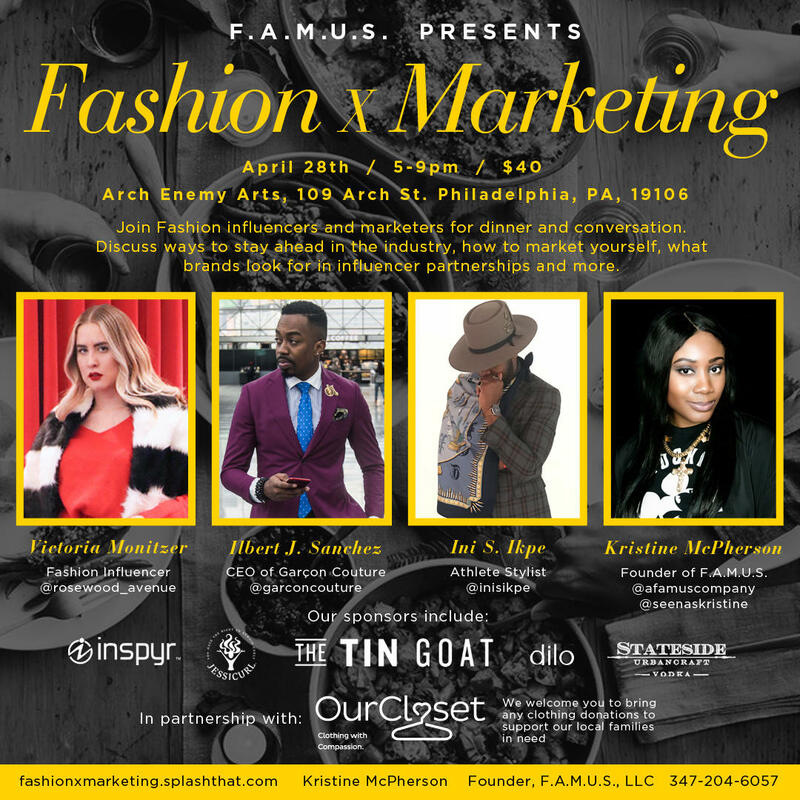 Join the panelists to talk about building a brand in the fashion industry, working with major clients and brands, successfully securing partnerships, how to market yourself as an industry leader and much more. Photographer and videographer will be on site so be sure to show up dressed for the occasion! Looking forward to seeing you in style. In Partnership with Our Closet, we are collecting clothing donations to help local families in need.